The Supreme Court of Appeal has dismissed an application by the Attorney General to have the ruling on the United Transformation Movement (UTM) registration suspended. 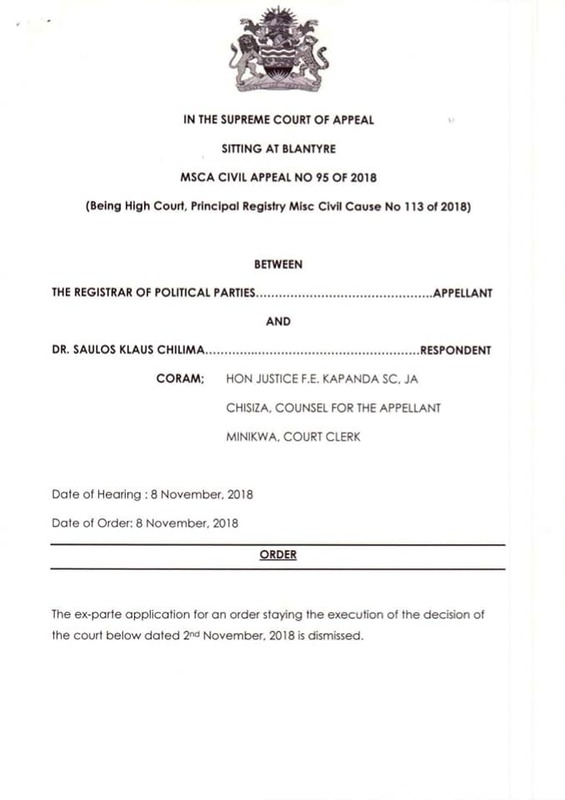 Newly appointed Attorney General Kalekeni Kaphale filed the application on Thursday asking the Supreme Court of Appeal to effect a stay order against the High Court ruling made on 2nd November this year that ordered the Registrar of Political Parties to register UTM by today. 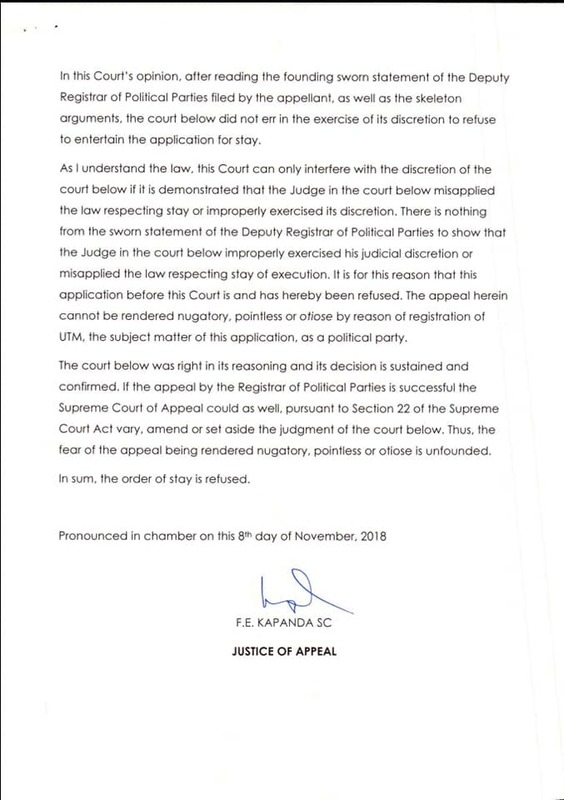 In the application filed before Supreme Court Judge Frank Kapanda, Kaphale asked the court to suspend the ruling until the state files for the appeal. But Judge Kapanda dismissed the application, saying the arguments by the state are not valid. UTM Spokesperson Joseph Chidant Malunga confirmed of the development in an interview with the press, saying the objection by the ruling Democratic Progressive Party (DPP) clearly shows that UTM is the biggest threat to them. Yapita ijaHOW DO FREDOKISS AND TAY GRIN STAY RELEVANT TO THE URBAN INDUSTRY AFTER SO LONG?